Happy day before Valentine’s Day! That might sound strange coming from me since I’ve made no secret that I’m not a fan of the day, but this year I’m embracing it. I’ve decided the day is what I make of it. I’m trying not to have any expectations. Instead I’m celebrating the release of the first indie book I’ve ever done on my own. 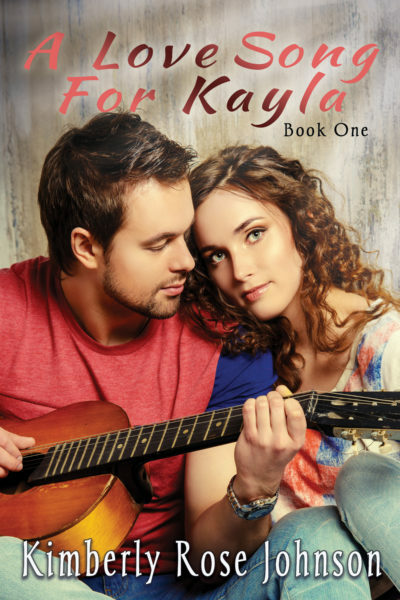 A Love Song for Kayla was previously published as A Valentine for Kayla in 2015 by my original publisher. Although it’s not necessarily a Valentine’s Day book it does open up the day before Valentines. It’s one of my favorite books I’ve ever written because I can relate so well to Kayla, but I love Derek. :) Here is a short excerpt. I hate Valentine’s Day.” Kayla Russell secured a flower arrangement in the delivery box, then moved on to the next one in a long line of vases and baskets filled with colorful flowers and greenery. Everywhere she looked there were hearts or cupids to remind her of the dreaded day. “I care. I may not like the day, but I want our customers to feel treasured and loved.” Kayla fluffed and straightened a bow around a clear vase—perfect. “I’m not that bad anymore. I’ve been watching you. I’m sure I’ve improved.” She crumpled a sheet of tissue paper and flung it at Jill. The bell on the entrance jingled. “I hope that’s UPS.” Kayla rushed through the swinging door into the main part of their shop and stopped mid-step. That was not their normal UPS guy. This one hummed a familiar worship song and walked with a bounce in his step. “Come again soon.” The last word died on her lips as she realized how ridiculous she sounded. He’d be back only if she had something shipped UPS. It wasn’t as if he were a customer. He winked and strode his toned body out the door, then hopped into the large brown truck and rumbled down the road. What are you thoughts on Valentine’s Day? Love it, hate it, don’t care? Do you celebrate it, and if so how? I don’t really like Valentine’s Day either.It was fun in school passing the cards back and forth,giggling when a boy said he liked you. Now it seems a waste of money in a commercial world .You zszshould do something nice for your loved any day,not a specic day. Lol but I do like the music. I feel the exact same way, Linda! I actually wrote a similar sentiment in a blog post for another blog recently. I loved Valentine’s Day as a child. Decorating my shoe box that would hold all the valentine’s my classmates handed out was so much fun. I enjoyed the excerpt, Kimberly…thanks for sharing it with us. In our house, we try to make every day Valentine’s Day, treating each other with love and respect, things money can’t buy. Blessing on Valentine’s Day Kimberly and best wishes on your book release. Sounds interesting. Our family embraces Valentine’s Day the same we embrace birthdays, anniversaries, Easter, Halloween, Thanksgiving, and Christmas – with a nice card and gift and a special dinner for all young and old. This year our eldest son is in China for business. His wife packed his Valentine cards and candy in his suitcase. He was surprised when he opened his suitcase. Tonight we are celebrating with his wife and family with cards, a beautiful bouquet of flowers, and chicken dinner. His wife works till 6 and usually our son makes dinner. Tonight my husband and I are making and eating dinner with her and our 3 grandkids. Tomorrow two grandkids have school Valentine parties. Tomorrow we plan to see our newest granddaughter, who is a month old and this is her first occasion to receive a card from her Oma (grandma) and Opa. But it is always nice to have a special surprise – flowers or chocolates or special bakery treat – just because I care. Renate, thanks for sharing your Valentine’s Day traditions. It sounds like your family makes it very special I hope you have a wonderful Valentine’s Day! LOL, Elizabeth. I still need to go get a card for mine.I t’s on my agenda for tomorrow. Remembering is definitely a win. LOL, thanks for reminding me I need to make a card for my husband! I’ll do that now as he’s out the house! The story sounds great! I’m thinking I haven’t read this one. I need to go find out. I love the excerpt! Valentine’s Day is usually just another day here. I usually get my kids something, but here it is the day before and I haven’t done anything. So probably not going to happen this year lol. When do you stop buying for your kids? They are grown now and one isn’t at home anymore. Now that I think about it, though, I am planning to cook dinner and have both of them there, so maybe I could throw in some Valentine’s Day cookies and call it a Valentine dinner for the whole family? I could also string up some paper hearts. Thanks for letting me think out loud lol. My husband works weird hours, so unless Valentine’s Day ends up on the weekend, it goes by as any other day. Congratulations on the re-release of this book, Kimberly! Thank you, Sally! You posed a good question about when you stop getting something for your kids on Valentine’s Day. My boys are both away in college, and I did do a little something for them–I figure as long as they are in school and not married I’ll keep sending them a little something for Valentine’s Day. My mom still gets me a card every year and she used to buy me a special cookie. But now that I can’t have gluten, the cookies don’t happen. It looks like a fun story and I have Kindle unlimited, so I got it! Looking forward to reading it later. My husband tends to forget holidays, but he has a blind friend who asked him to give him a ride to get flowers for his wife. So my husband got me some too! That was sweet of him. :) I hope you enjoy the story. It’s actually one of my favorites. I think it’s the music connection that makes me love this story so much. I stayed up late last night to finish the book! I loved it! It was fun and I could relate to Kayla. I never got many Valentines when I was younger. I do remember my dad would always make sure we each got a small heart from him. We did this with our children when they were younger. Now that they’re out of the house we don’t and this year one of my daughters told us she was thinking of buying flowers for herself just so she got some. That made me sad. Now I need to thinking of something creative to do for her. At school I had a student say..”I wish I’d get a Valentine, I don’t think I will.” OH it just broke my heart! If I could I’d give them all a Valentine just to let them know they are loved! Now you totally get why I’m not a fan of the day! When I was a kid we brought cards for everyone in the class so every student went home with a full box. That doesn’t work well with older students though. I taught high school English and creative writing for 20 years. Since many children often do not feel special, I gave my students treats for Halloween, Christmas, Valentine’s Day and Easter. I made each student feel special because they are. In my creative writing class, each student made a Valentine for 2 teachers on staff. The students did not get to select the teacher, the names were picked from a hat. Some students were not familiar with the teacher and had to gather facts from the class schedule description or ask other students, not the teachers. This was a secret mission and Valentine’s were placed in each teacher’s mailbox on Feb. 14. Teacher’s treasured these homemade cards with their special poem. In todays world this is important. This has definitely been an eye opening post. The Bible says, Love, Faith, and Hope. Love being the greatest. That is why this day is so special for me, my family, and those around me. I think Valentine’s Day is fun, though my husband isn’t really into it, so I don’t know if he’ll get anything for me or not (which is fine….he takes good care of me). He will end up with a little candy out of the deal though. I read A Valentine for Kayla back in 2015 when it was first released. I really enjoyed the book. Hope it does well being released as an indie book. I would highly recommend the book. I enjoyed Valentines Day when I was in elementary school. It was lots of fun decorating our boxes and receiving cards from all of our classmates. Hubby and I have been married almost 44 years so Valentines Day doesn’t hold the same meaning as it did when we were much younger. It is still fun to celebrate it with our grandchildren. Thank you for your recommendation, Nancy! Kids are the most fun at Valentine’s Day. I read this book today and loved it! When the kids were home and we were homeschooling, we always spent the day designing our own Valentines and decorating a shoe box. One of the kids would get to go deliver flowers with their father. We made & decorated sugar cookies. Then made heart sandwiches and soup. We never knew when the flower delivery would be done, and this was easy to heat up or keep warm. We ate by candlelight and then opened our boxes. The kids loved this party. Some years we would take our party to Grandma’s house, so we could also shop for her groceries. Now that the last one is in college, we vary on what we do, but usually still do soup & sandwiches if we are home. I’m so glad you enjoyed it, Becky. What fun memories. Oh those are some great gifts. My hubby really don’t do anything for Valentine’s Day. We stay home and enjoy quality time instead of fighting crowds at restaurants..would so love to win one of the prize packages thanks.. I am celebrating my 3rd Valentine with my now husband. He tends to go a bit overboard with the flowers and chocolates, but who am I to complain! Jay and I may take a dinner date if his parents are in town. In the past few years I focused on the kids more than my hubby. He and I write love notes to the kids on heart shaped post-it notes and put them on their bedroom doors during the month of February. They’ve saved them all! I go to White Castle with my family for Valentine’s Day. They decorate the restaurant and have the employees wait on you at your table. It’s a lot of fun.